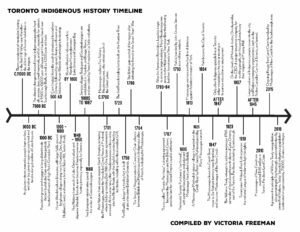 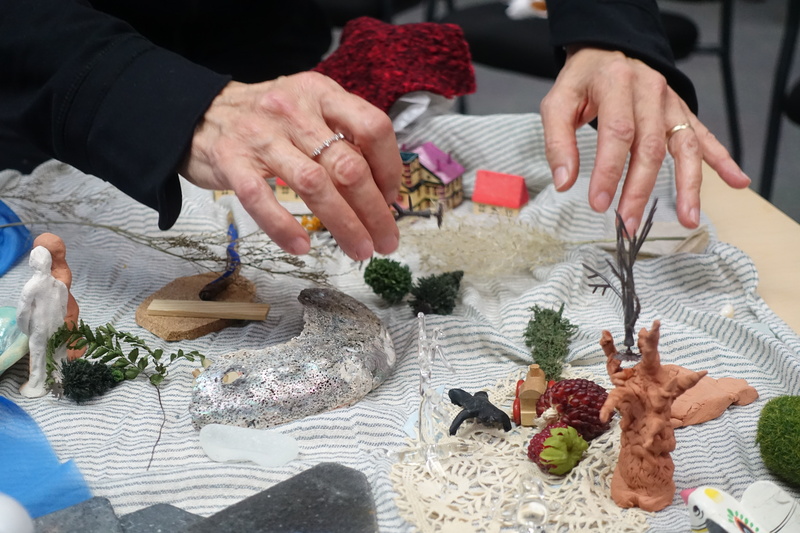 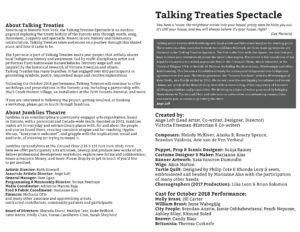 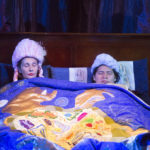 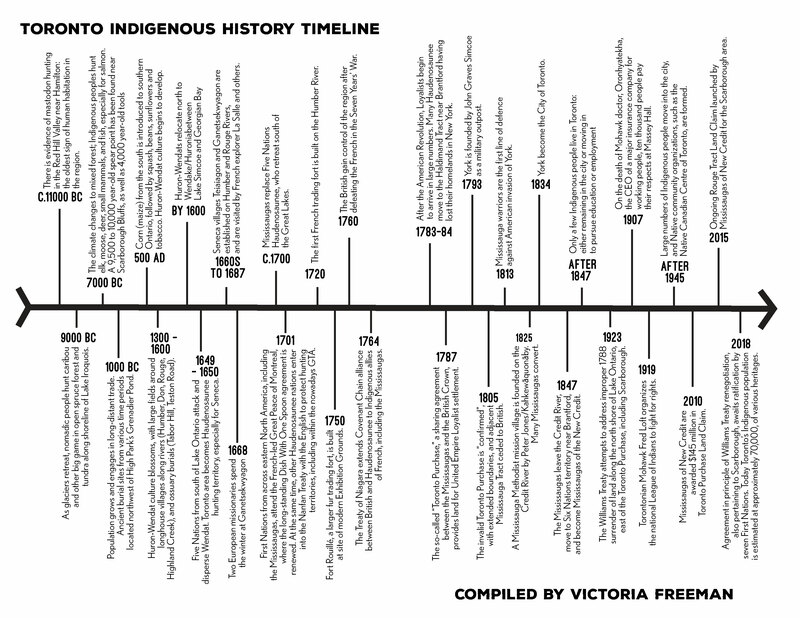 Following our September 2018 remount of the Talking Treaties Spectacle, we launched into a new phase of Talking Treaties, still under the leadership of Ange Loft in collaboration with Victoria Freeman . 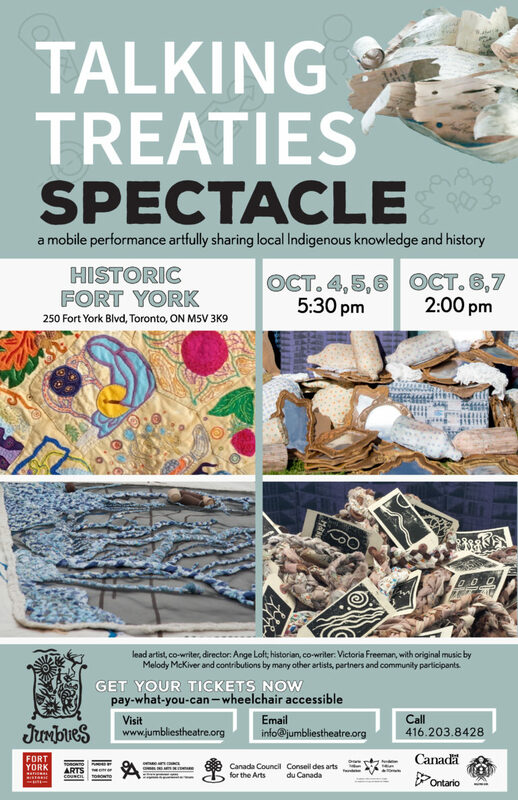 We continue to respond to requests for workshops from school, university and community groups, and have embarked on several new partnerships, including with Black Creek Pioneer Village and The Toronto Biennial. 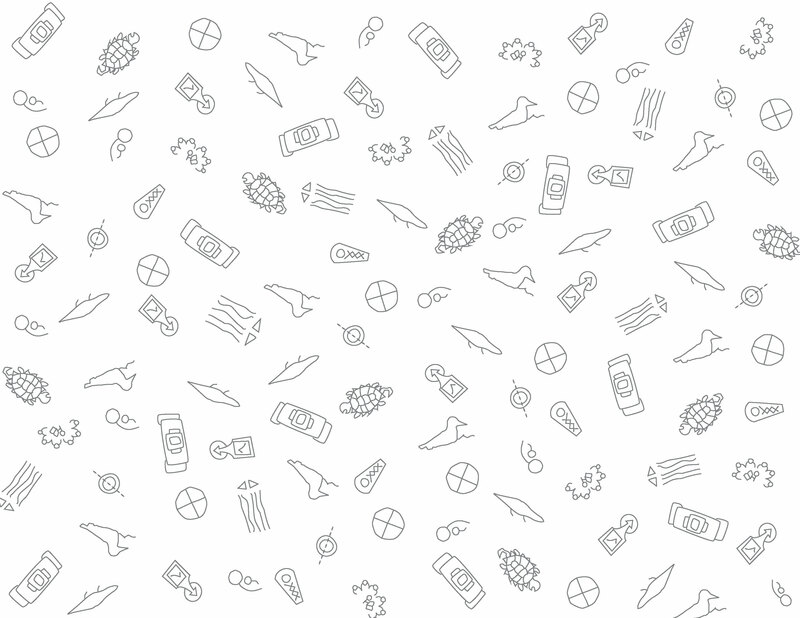 Stay in touch to find out more. 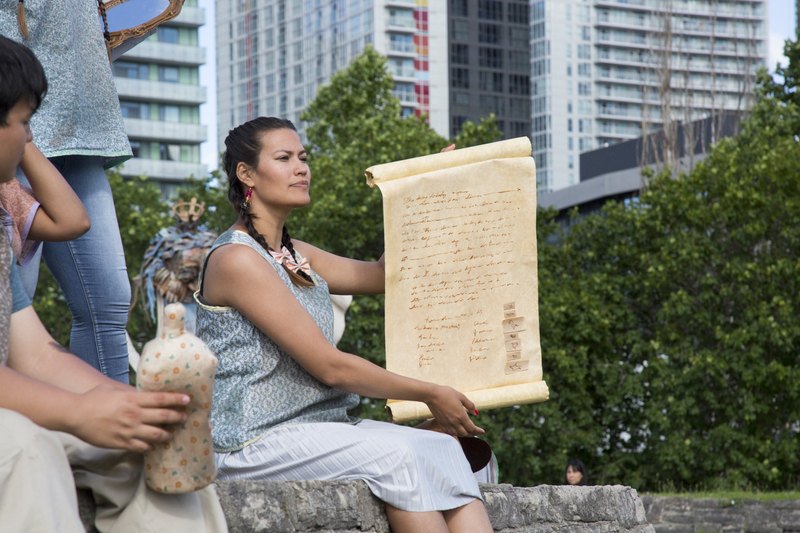 Talking Treaties artfully shares local Indigenous history and awareness. 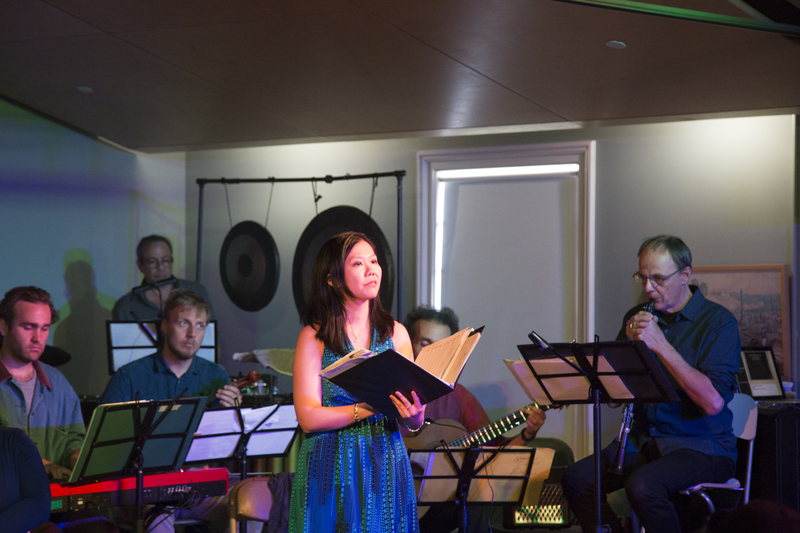 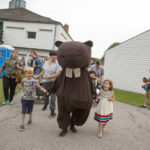 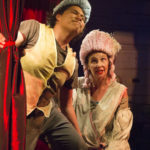 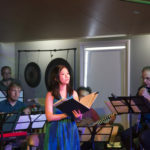 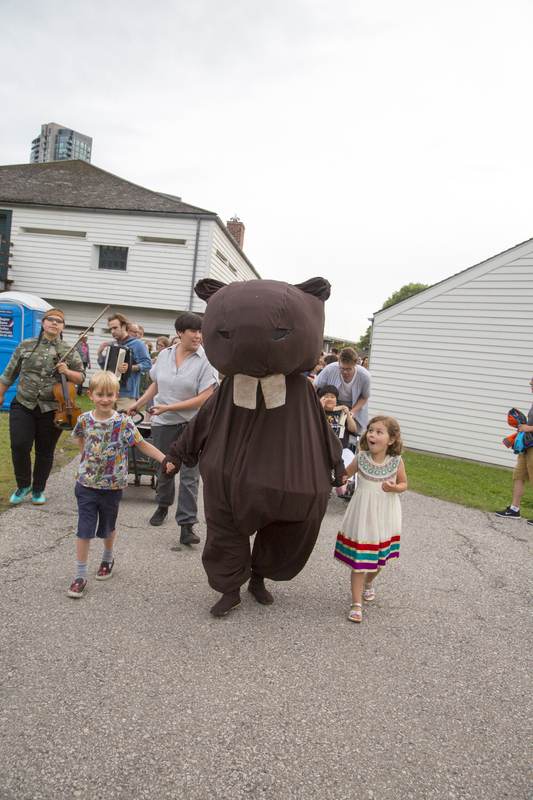 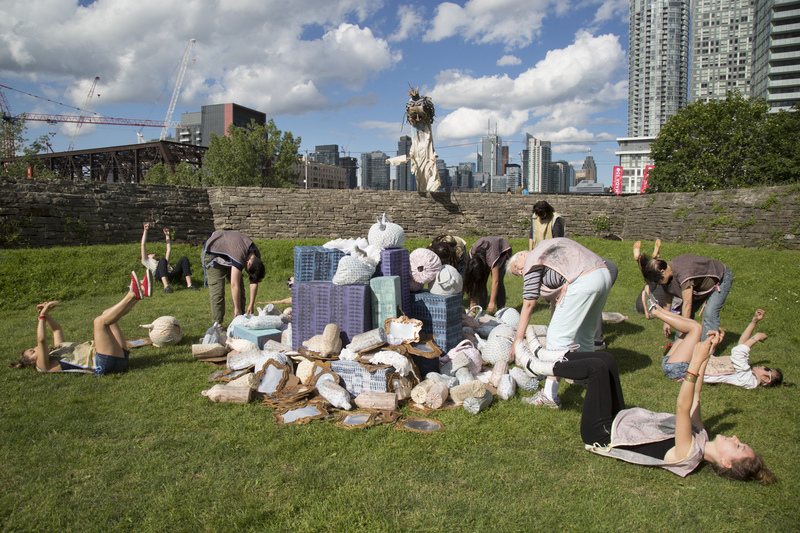 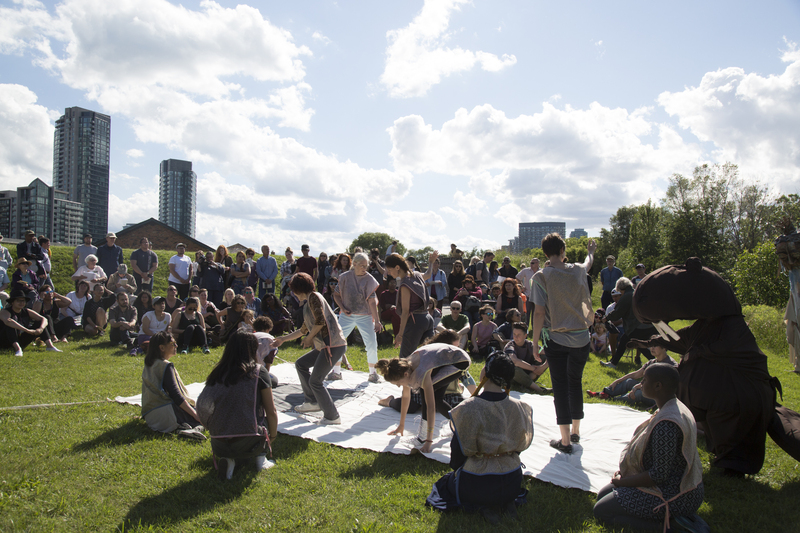 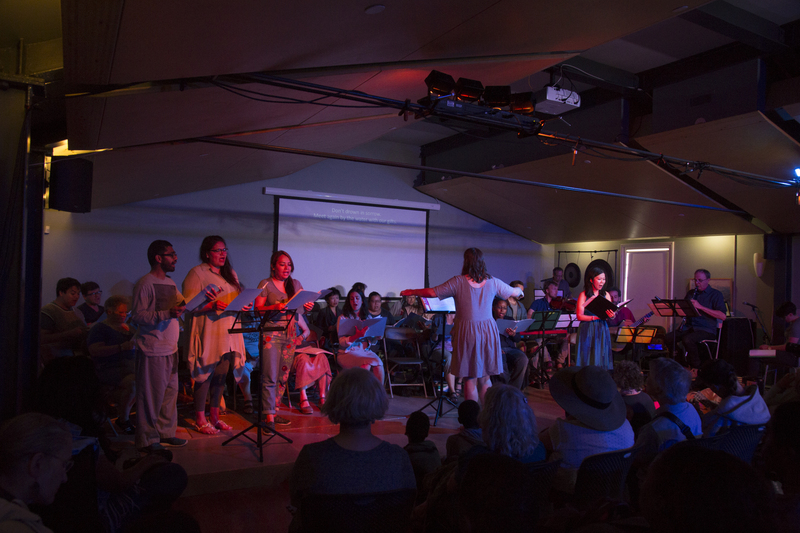 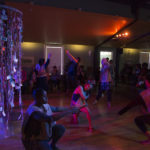 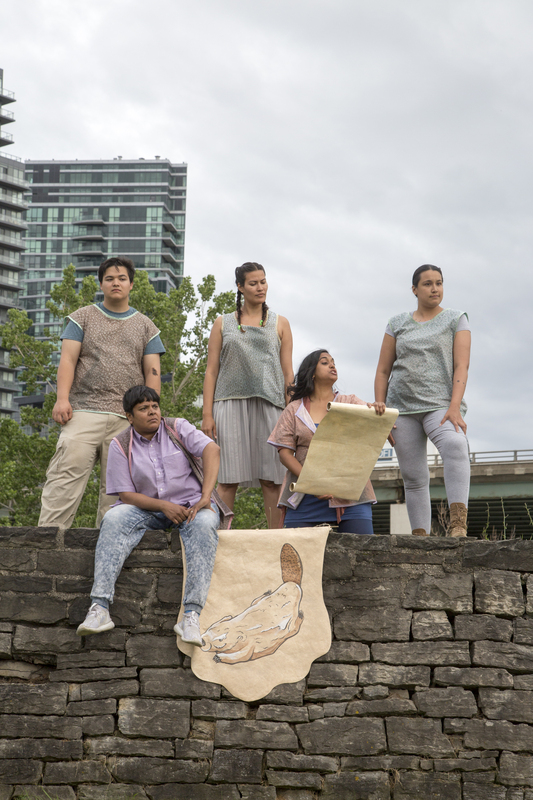 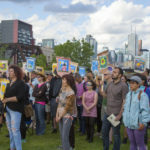 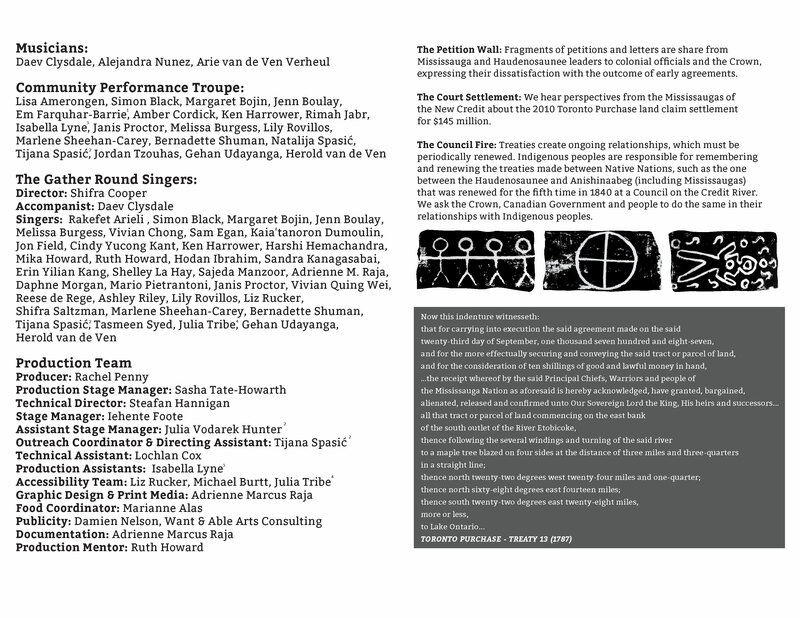 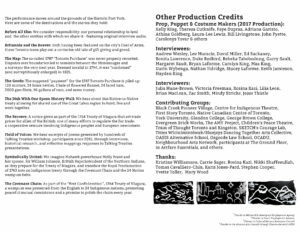 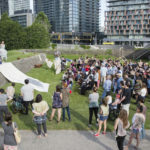 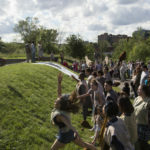 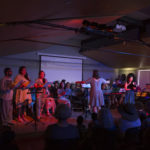 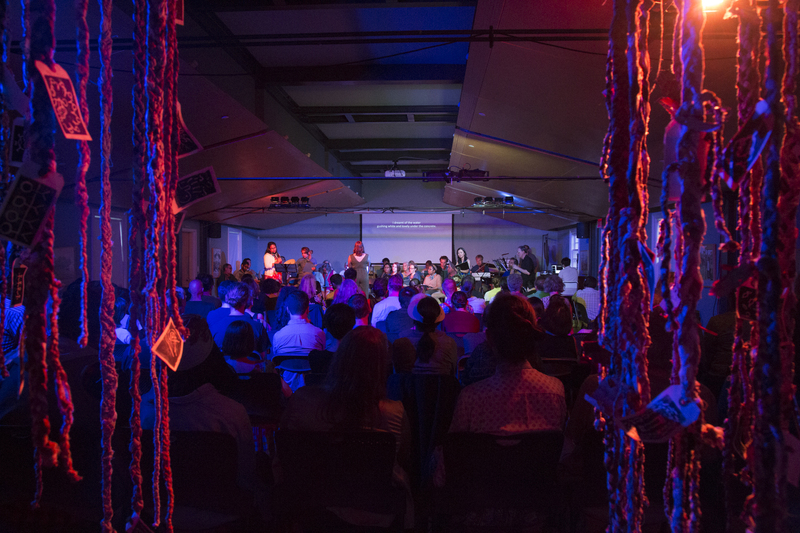 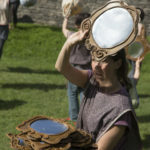 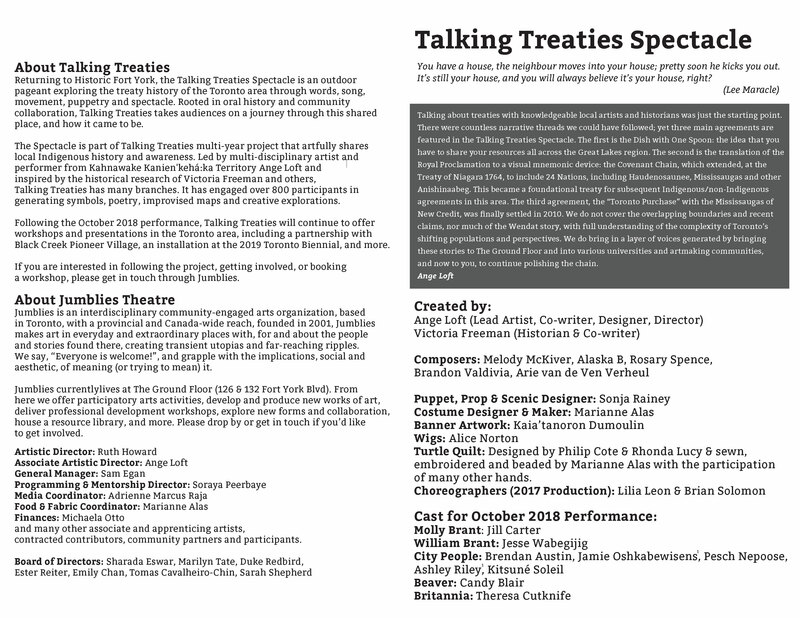 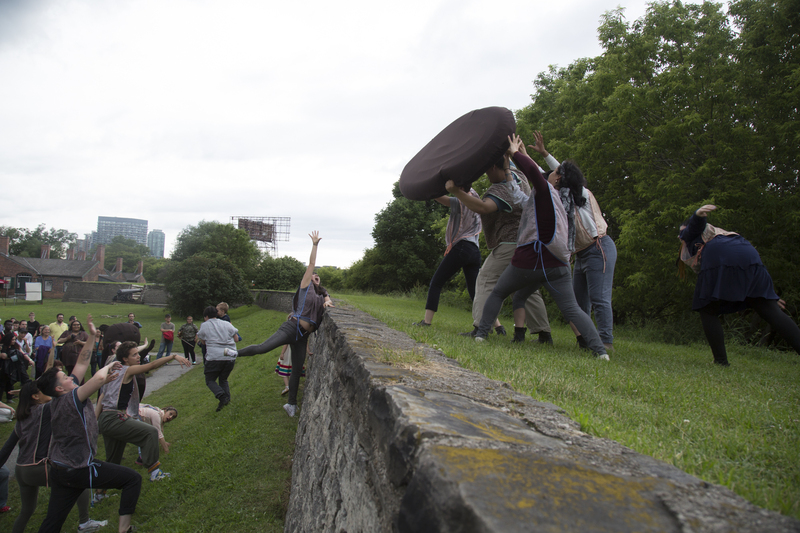 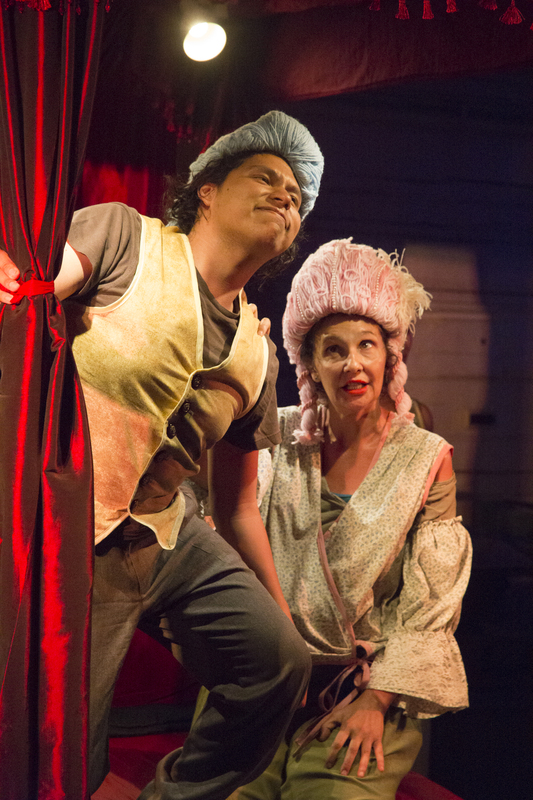 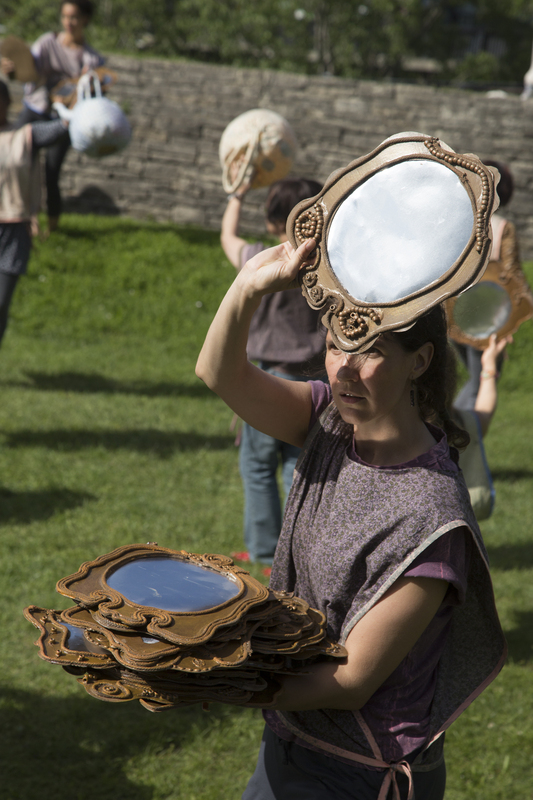 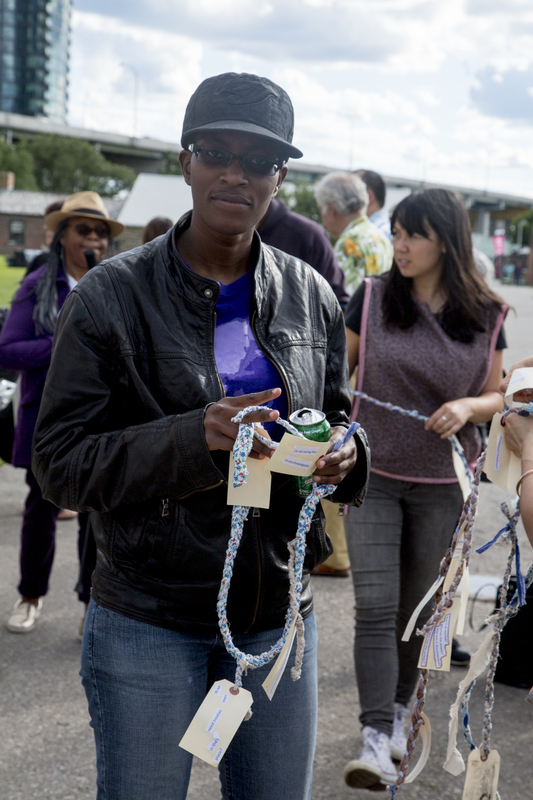 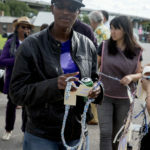 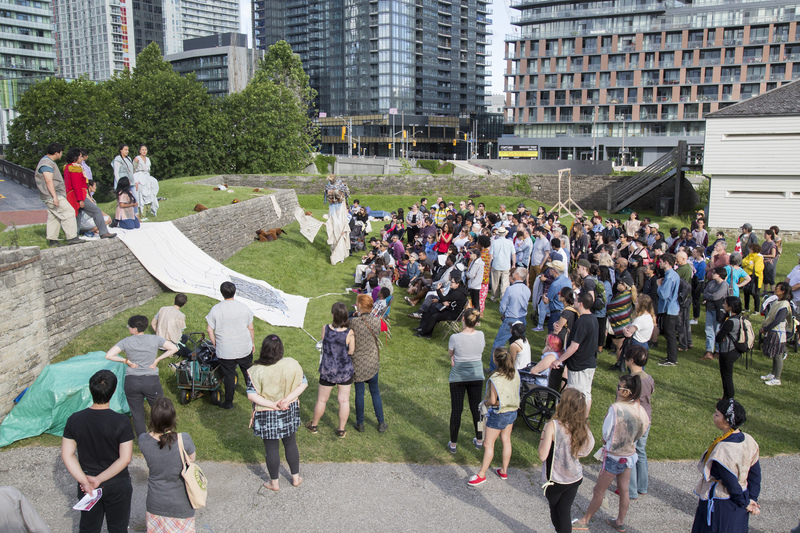 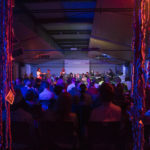 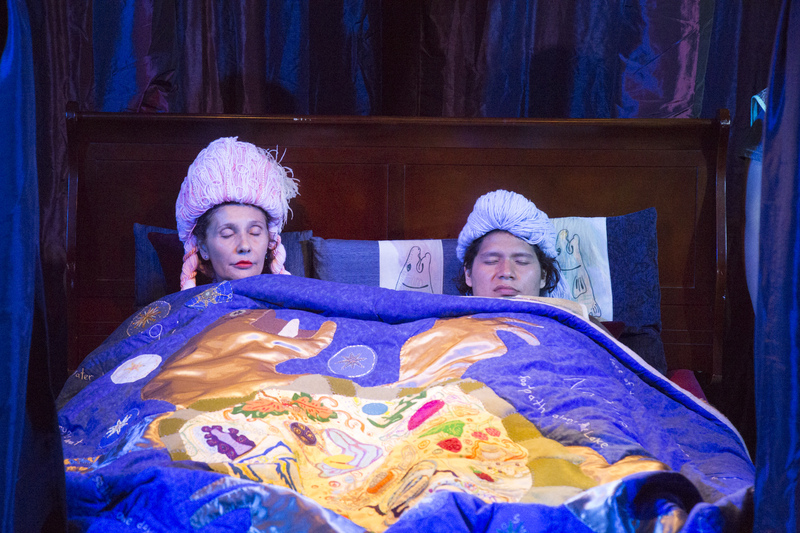 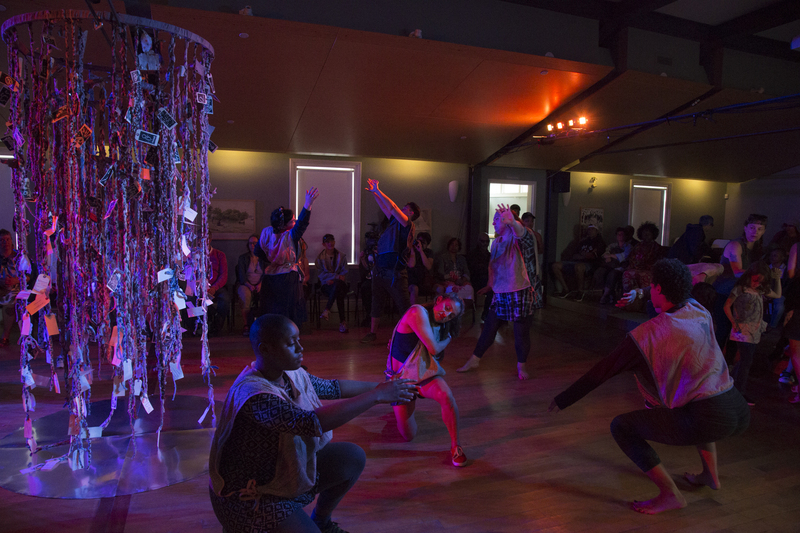 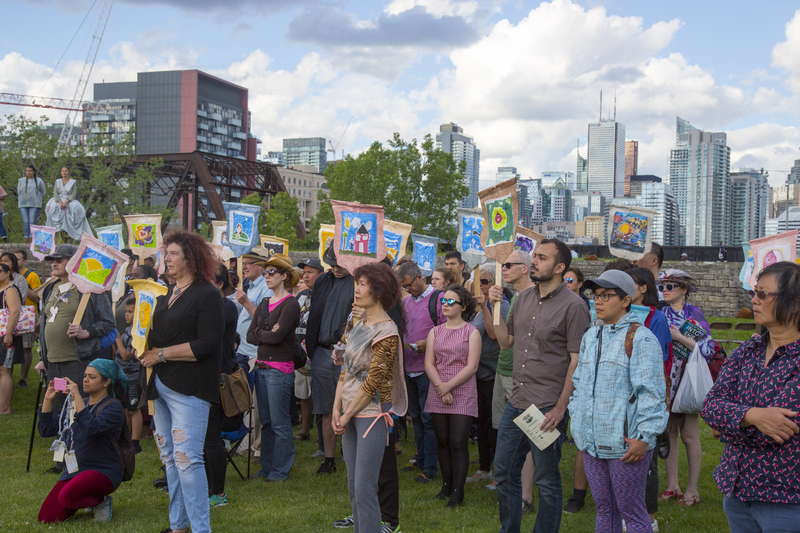 Launched in Spring 2015, the project resulted in the Talking Treaties Spectacle, first presented at Toronto’s Historic Fort York in June 2017, as part of their Indigenous Arts Festival and Jumblies’ Touching Ground Festival of new works, and an ongoing legacy of creative learning activities. 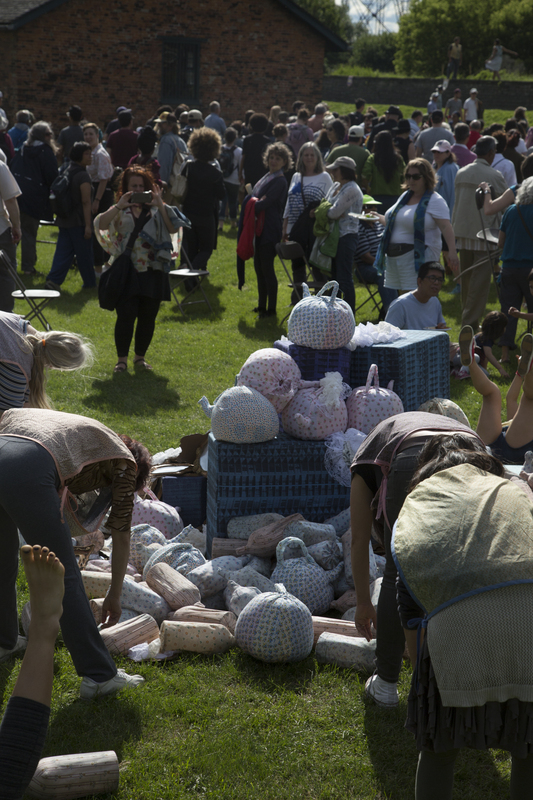 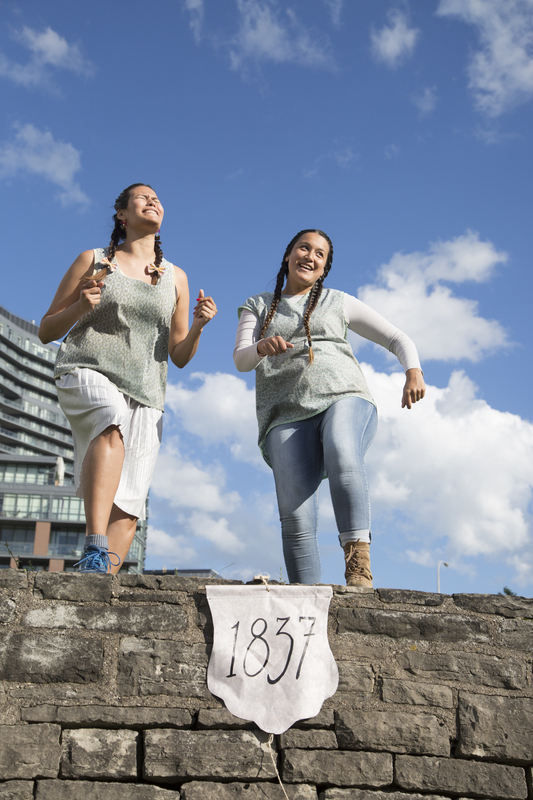 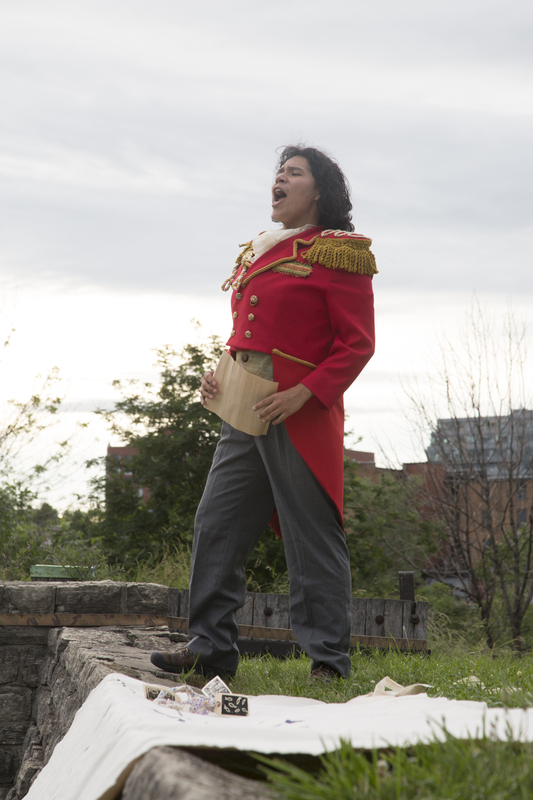 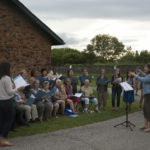 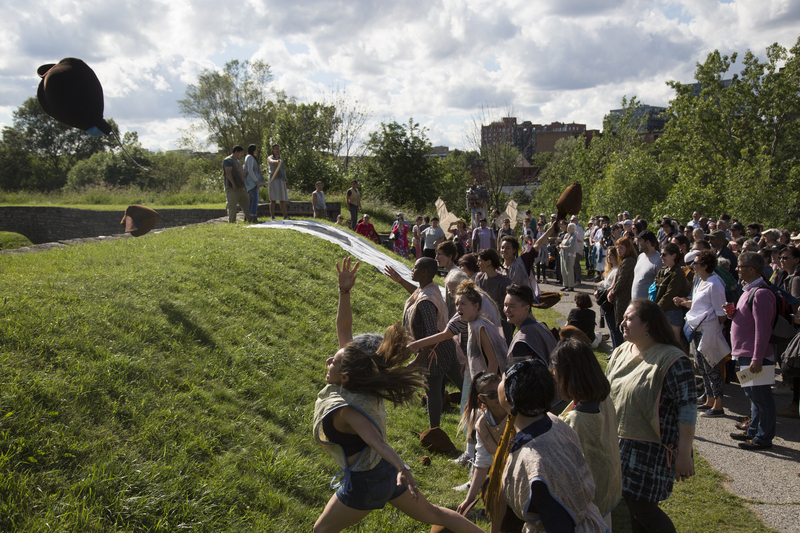 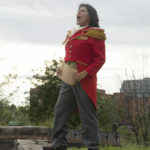 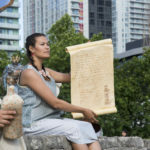 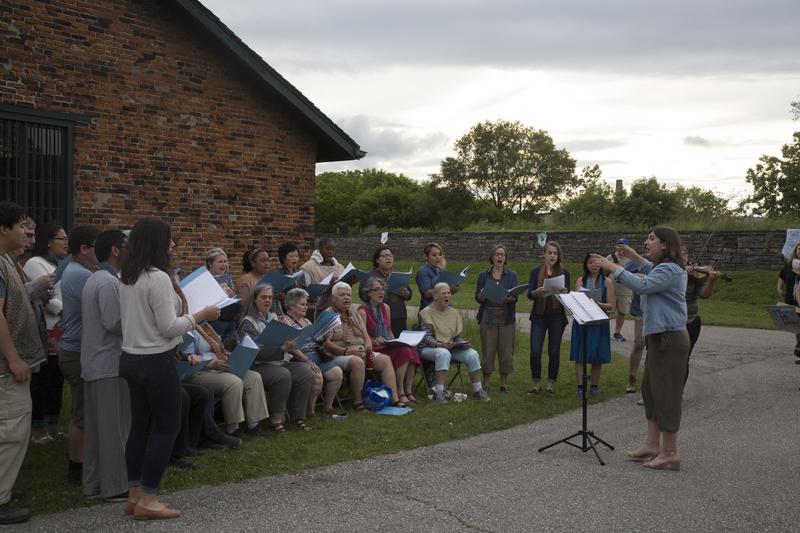 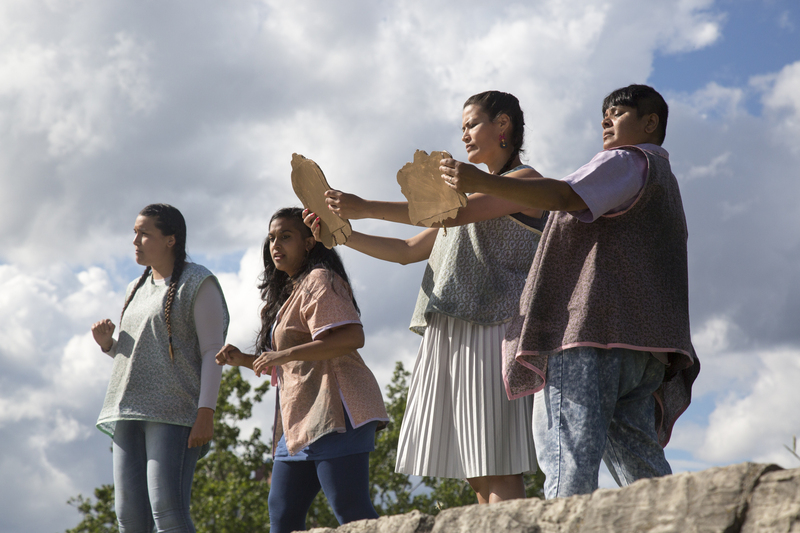 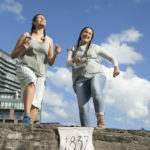 The Talking Treaties Spectacle was remounted on the grounds of Historic Fort York from October 4-7, 2018, featuring an all Indigenous core acting cast, plus many other artists and community participants as singers and performers, as the piece moved around the Fort York site, sharing stories of the complex and ongoing treaty history of our city. 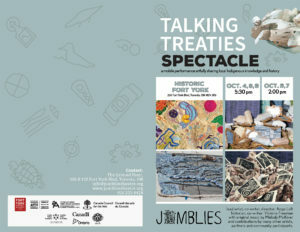 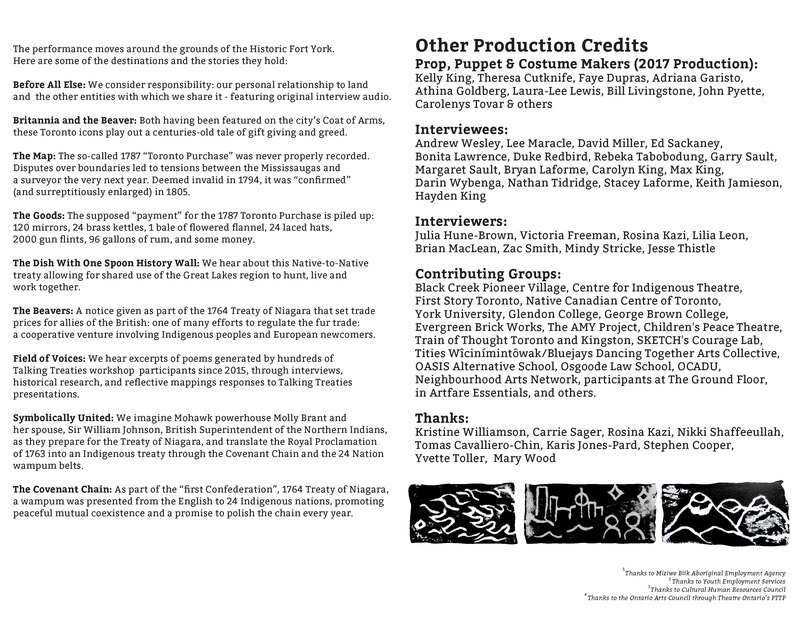 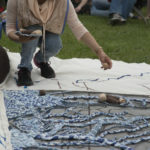 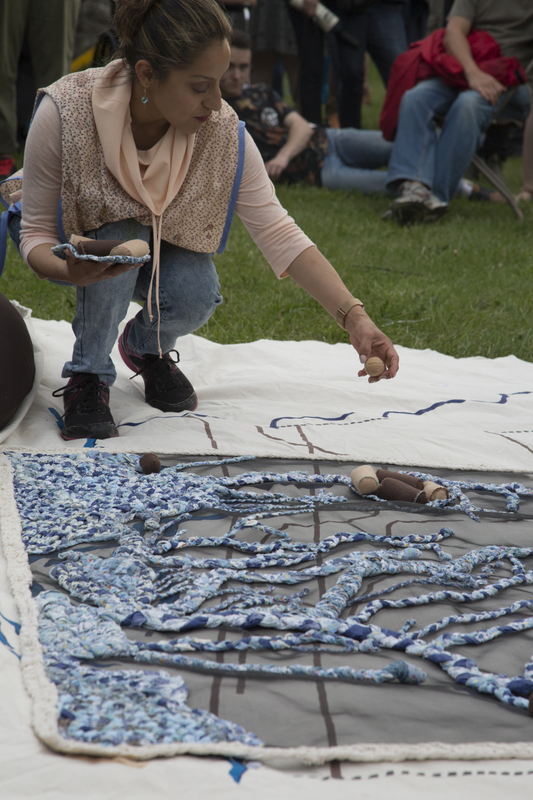 Talking Treaties has engaged over 1,000 people of all ages and backgrounds in its creative and educational activities. 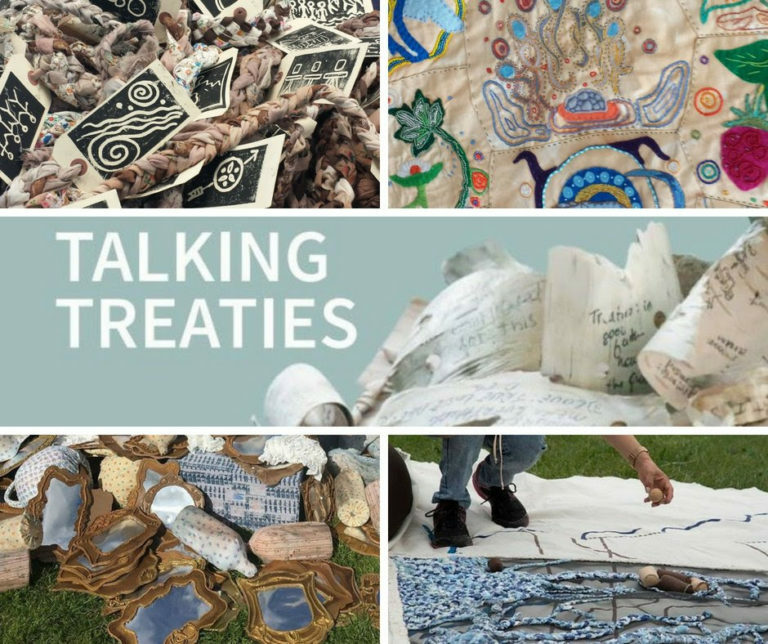 Talking Treaties Workshops and Presentations are available for booking. 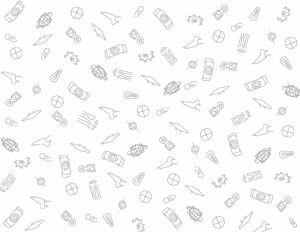 Click here for more information about what we can offer (PDF Link). 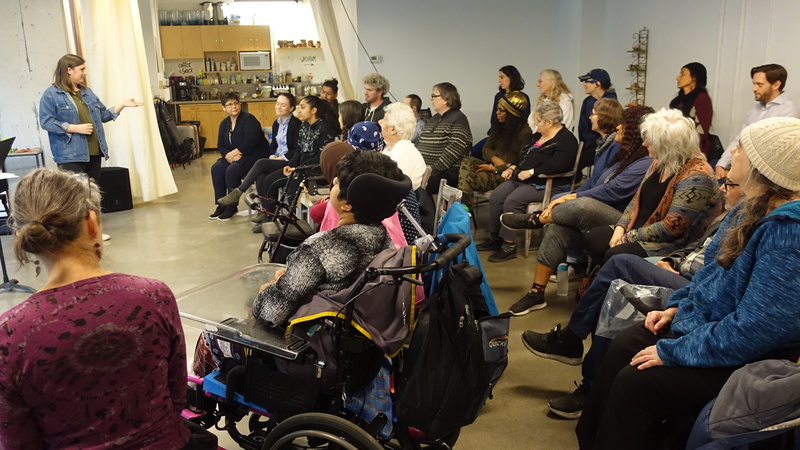 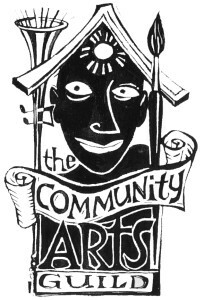 If you would like to book a workshop or presentation, please contact info@jumbliestheatre.org. 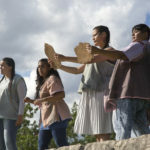 Black Creek Pioneer Village, Centre for Indigenous Theatre, First Story Toronto, Native Canadian Centre of Toronto, York University, Glendon College, George Brown College, Evergreen Brick Works, The AMY Project, Train of Thought Toronto and Kingston, Children’s Peace Theatre, Neighbourhood Arts Network, SKETCH’s Courage Lab, Tities Wîcinímintôwak/Bluejays Dancing Together Arts Collective, OASIS Alternative School, Osgoode Law School, OCADU, participants at The Ground Floor and in Artfare Essentials, and others. 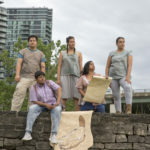 First Story Toronto, Historic Fort York, Nagamo Collective, Children’s Peace Theatre, Lost Rivers and others.